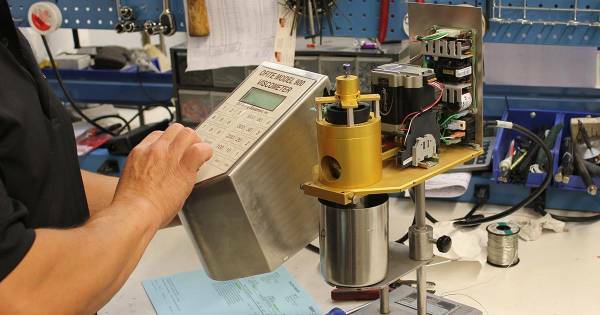 Repair, Maintenance, and Calibration - Newsroom - OFI Testing Equipment, Inc. The oil field is finally busy again! We’re all excited to see business ramping up and people getting back to work. As you load up for that next job, take a look at your mud testing equipment. Is it still in good condition? Does it need repairs, maintenance, or calibration? If so, OFITE can help. We offer full-service repair, maintenance, and calibration on virtually all mud and cement testing equipment. We offer competitive rates and fast turnaround times to get you back up and running in no time. Even if we didn’t manufacture it, we can fix it. We can also bring our services to you. The OFITE service van makes regular trips to West Texas, South Texas, and Louisiana, with other regions available in the future. Schedule the van for a visit to your lab and we bring quality parts and outstanding service. For details about our repair service and to download a repair form, visit our services page. To schedule a visit from the service van, contact your account manager or email sales@ofite.com.